Melanie L. Adams M.D., P.A. (Columbia) - Book Appointment Online! Melanie L. Adams M.D., P.A. 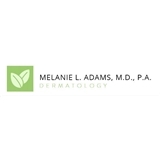 Highly skilled in the field of dermatology, Dr. Adams relies on years of experience to treat all skin conditions. Our office will be happy to schedule your appointment for a general skin exam as well as treatment or removal of actinic keratoses (pre-cancerous lesions), seborrheic keratoses (tiny growths of skin cells), moles, warts, skin tags, etc. We also treat temporary and chronic diseases of the skin such as contact dermatitis, eczema, and skin cancers. Many insurance policies are accepted, and our staff will be happy to assist you when you call.